The movie “Mississippi Burning” was a portrayal of the civil rights struggles in the deep south during the early 1960’s. It focused on the brutal murder of three civil rights workers in Philadelphia, Mississippi. Racism was the accepted norm during those times, and hatred against different ethnic groups was a stance publicly endorsed by politicians and churches alike. Though racism existed against various ethnicities, the dominent thrust was between ‘blacks and whites.’ While Caucasians had the power in society to broadcast their venom, African-Americans usually just had the pulpits to display theirs. The integration of the schools, teachers, neighborhoods, political offices and the work place were hot beds of racial tension and hostility. I lived through this period as a young boy and grew up only 60 miles from Philadelphia. I saw racism up close and personal as racists from both sides spewed their hatred and bitterness toward one another. It was amazing that while the adults were speaking against one another, we young ones were demonstrating a friendship and acceptance of different ethnic groups. The politicians and pulpits were not leading the way for genuine change from the heart, but as the children of that generation, we were quickly learning that color was only skin deep. I grew up only a few short miles from where black men were hanged to death over a river bridge. Why were they strung up like animals? For looking at or speaking to white women. I’ve had white friends attacked and beat up by black gangs. Why? Because they were white. When I was a young boy, the Ku Klux Klan held meetings in open fields less than five miles from my home. I’ve personally heard so-called ministers of the gospel use racial slurs from the pulpit and get an “Amen” or snickering laugh from the congregation. I have black friends who grew up in black churches and tell the same story from the other side! Racism cuts both ways, and so does the ungodliness in our churches. It is not just a white problem or black problem, it is a sin problem…a heart problem! Several years ago, I was a leader and co-planter of a church in an old store front in downtown Meridian, MS. This store front was across the street from where the KKK members were placed on trial for the 1964 murder of the three civil rights workers. From the beginning it was an ethnically mixed congregation. As we began the church plant, we faced several threats, including death threats, from some of the old racists who were still in town. It was simply a display of the ugliness of sin which dominates the heart of un-regenerated men. We could not, and would not, back down from the simple truth that all men are one in Christ Jesus! Not just one in pleasantries and hospitality, but one before God and in all things. We must deal with racism the way every social evil is dealt with. As believers, we live true to the life of Agape Love as described in the Scriptures. Actions of Christian Love are the death nails to racism in our communities. Rest assured, racists will still hide behind membership in many churches–that will not change. However, if we light the truth of God’s Love, instead of just talking about it, the presence of God will begin pushing back the spirit of racism in our communities. Look how beautiful it is when we live, teach and stand for freedom from racism in our churches. 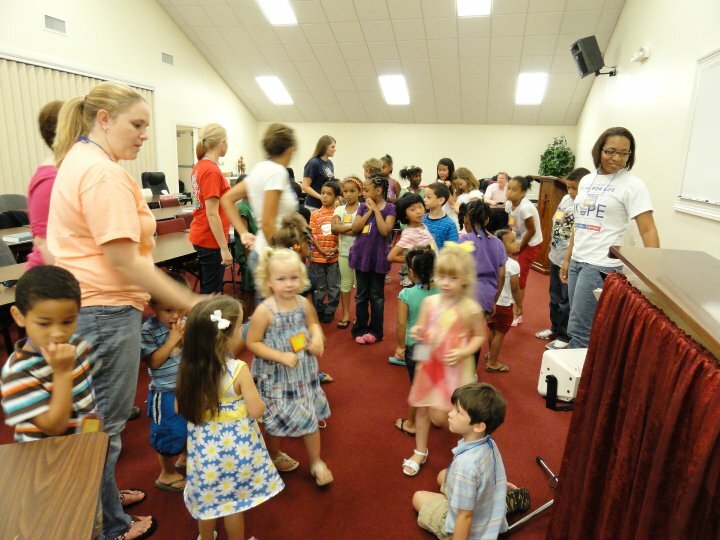 Here is a photo from our vacation bible school. African-Americans, Chinese, Caucasian, Latino and interracially mixed children singing and enjoying learning about Jesus! Even the teachers were racially diverse and demonstrating the oneness of Christian truth and unity with actions…not just a bunch of shallow words. The children followed the lead of their teachers and had a great time together, never focussing on the difference, but celebrating the diversity. Oh, how beautiful it is when biblical unity is expressed with the simplicity of faith and love. 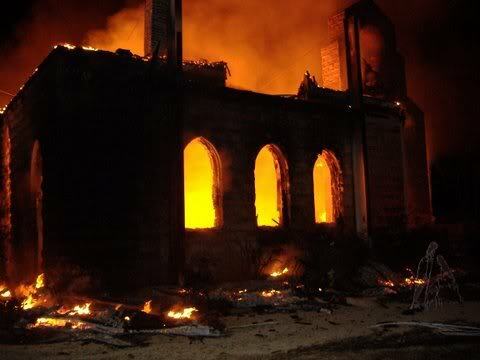 Years ago, Mississippi was certainly burning. Burning with racial hatred, strife and cruelty. My home state was the focus of the nation as the blot of hatred and ethnic supremacy was broadcast over national news outlets. And in many communities, it is still burning. However, in some places, Mississippi is not burning any more! 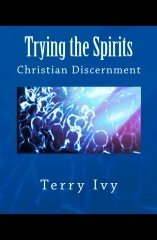 Dear Terry first and foremost I know I am saved and if I die right now I would go to heaven. Some of my best frinds are black and I don’t have a problem going to Church with them I’ll be in heaven with them The only thing I can’t get over is the marriage of black and white. You don’t see a red bird and blue birds nest together. The Bible says God is not the author of confusion but when they marry there is confusion and when they have kids its even worst the kids don’t know which side to take. Its not just black and white any color, if I’m wrong may the Lord show me I’m wrong. Thank you for your reply and for sharing the concerns you have in regards to interracial marriage and the children from these marriages. You are correct in stating that “God is not the author of confusion.” However, remember, confusion in ethnically mixed marriages is not caused by the marriage, but by the sin of prejudice by those who persecute it. Under the New Testament covenant there is only one requirement for Christian marriage–that each party is a believer in Christ! To add to that only injects our barriers which Jesus has not added. The choice children make in regards to family, should never be based upon color or ethnicity, but upon truth and love. The ‘red bird and blue bird’ argument is actually one used for years by the KKK in their rejection and hate. (I’m not accusing you of being a Klan member.) It falls tragically and biblically short of offering an argument against interracial marriage. Philosophically, it would fail as an ‘apple and orange’ argument. That is, non-rational and amoral animals are not the standard for rational and moral beings. (mankind) As believers, the standard for marriage is never relegated to ethnicity or color. (In fact, most of us have mixed ethnicity in our blood. But that’s another issue.) Tim, if you pursue the Lord on this issue, looking to the authority of the Scripture and not the mores of society, I’m convinced you will see the indefensible position of rejecting multi-ethnic marriages. There are tons I could say on this issue, but I will simply say this…the Scriptural position is very clear and binding. As a believer, we are embracing a position at odds with God’s Word if we reject marriage based upon color!